the assistance of the Goddess Pele. Sign up now and be entered to win a private session with me! Details below! our journey during the call will be into the depths of a volcano for transformation. And who better to assist us than the Goddess Pele? Join us and receive your transformation! What choices are you ready to step into energetically? by letting the deep emotions & energetic blocks go. for the Healing and Meditation or both! All for one super low price! Pre Register for only $12.12 and receive the replay too! sacred circle of healing light where the real magic happens! If you miss signing up in time, you can still get the replay. and how to sign up to receive the replay and call reminders. THREE step process to make sure you are signed up for reminders and the call replay. when I'm working with someone, but whew, it's intense. the Dark of the Moon time or also known as 'Balsamic' Moon. time to go within and focus on what we are choosing to manifest in our lives. Using the energy of the astrology sign the new moon is in, as well as the house the new moon touches on for you, we will create the energy within the group to support you on your journey! If you have your birth chart, have it handy for the call! 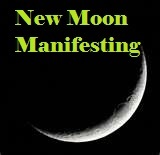 If you need a chart go to www.Astro.com to get a free chart... or sign up to get a mini newmoon reading with me to personally assist you! Not able to attend the live call? Sign up now to receive call in details and access to the replay! I will send out the replay recording within 24 hours of the call! Plenty of time to listen and be ready for the new moon!